Videostream lets you stream local videos (downloads, etc.) from your computer to your Chromecast in full 1080p! 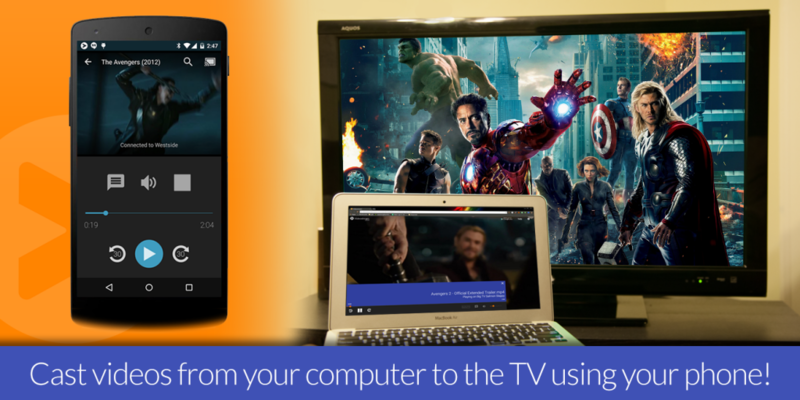 This Android app will remote control Videostream, which is an easy-to-use Chrome app. Simple and intelligent design. Really impressed with how smooth the PC pairing process and seamless casting to Chromecast. The flattened library view and search engine work well. However, having the option to toggle to a directory tree would be great as well.